Understanding the importance of TIR17 for medical device manufacturers: TIR17 has evolved over the years to be a necessary resource for device manufacturers, says Wendy Wangsgard, Nelson Labs. Material selection is one of the most important considerations for healthcare product manufacturers, specifically medical device manufacturers, because it impacts design, manufacturing and sterilization. 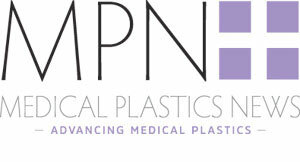 When choosing a material for a device, manufacturers need to consider which works best with the design, which can be used in the manufacturing process, the effect sterilization will have on the material, the possible impact of the material on the intended device function, and how sterilization affects packaging and accelerated ageing of the material. These factors, as they pertain to radiation (gamma, electron beam, or X-ray) sterilization, were considered by the Association for the Advancement of Medical Instrumentation (AAMI) when originally publishing the 1997 document Technical Information Report (TIR) 17: Compatibility of materials subject to sterilization. With the advent of combination devices, accelerated stability programs for pharmaceuticals was compared with accelerated aging programs for devices. The latest version of TIR17 now includes additional guidance for nitrogen dioxide, peracetic acid vapor, liquid peracetic acid and hydrogen peroxide-ozone sterilization modalities. TIR17 provides guidance on four main areas: Choosing sterilization-compatible materials; avoiding processing errors by optimizing the functionality of the selected materials; assessing functionality and safety of the product following sterilization and aging, and reducing the cost and time needed for material qualifications by applying accelerated aging programs that correlate to real-time aging. Section 3 provides general information manufacturers can use to evaluate the compatibility of materials with each type of sterilization. A description of the mechanism of action is also included. For any modality, the vendor, distributor or manufacturer of the selected material should be consulted. General considerations for manufacturing processes and design considerations are detailed in Section 4. The functionality of polymeric materials may be affected more by processing variables (molding, extrusion, film calendar, subassembly and product assembly) than by sterilization modality. Since polymers tend to fail at the point of greatest cumulative stress, which can be a combination of stresses and environmental exposures, a list of the variables to consider is provided. When evaluating manufacturing processes such as molding, extrusion or calendaring, care should be taken to ensure that the quality of the material is not compromised. Regardless of the sterilization modality, the stresses associated with poorly processed material can reduce the performance. Inconsistencies found in literature regarding the compatibility of materials with sterilization can be due to the variability that occurs with processing. Care should be taken when designing a product to ensure that the chosen sterilization process can be efficiently implemented. If a product is intended to be sterilized using gas or vapor, it should be designed such that the areas to be sterilized are accessible. Presentation of the product to the sterilization process can be affected by mass and loading density. For all manufacturing, environmental and sterilization processes, critical failure modes should be analyzed and understood. General considerations regarding material testing should always include product functionality and biocompatibility. An awareness that some common generic material names can refer to a family of chemical compounds is important as compatibility can be affected by variations in chemical composition. Functionality requirements should be determined and specified. Failure modes need to be identified and documented before shelf-life testing is performed. Function and safety of materials and products should be established using worst-case sterilization processes. These conditions can include dose, temperature, humidity, pressure, time and sterilant concentration, and will vary based on the sterilization method. A maximum acceptable dose will need to be established if radiation sterilization is utilized. Section 5.4 addresses factors related to device and package integrity testing. ANSI/AAMI/ISO 11607 addresses packaging integrity testing, and Table 29 outlines test methods that can be used for functionality. Testing should include challenging the identified critical failure modes, yielding variable data (required to iterate an aging factor [AF]), represent routine production, defined acceptance criteria, statistically valid sampling numbers and a written protocol for accelerated aging conditions. Section 5.5 provides considerations related to material biocompatibility, including material characterization and toxicity testing. Detailed information regarding biocompatibility can be found in the ANSI/AAMI/ISO 10993 series. Screening tests that are relatively inexpensive and rapid can be performed early in the design phase and provide information about potential biosafety issues that could help avoid redesign of the product. Material suppliers and databases can be a good source of information to reference when evaluating candidate materials. Chemical characterization can also be used to screen potential materials and provide data regarding biological or toxicological components. Although information regarding packaging is detailed for each sterilization process, careful consideration should be given for packaging to ensure it enables sterilization and sterility. The requirements that must be met are allowing for sterilization, allowing for sterilant residual removal, and maintaining sterility throughout shelf life. Essential packaging properties should include breathability with regard to gas sterilization, density with consideration not only to number of products in a pouch but also the number of pouches in a carton, the number of cartons in a box and the number of boxes on a pallet. Density may not only greatly affect penetration of sterilant to a load, but could also affect temperature, humidity and aeration profiles. It could also impact the dose uniformity to product when using radiation as the sterilization modality. Additionally, packaging material functionality needs to be addressed for the sterilization method that is chosen. The last section of this TIR provides information about accelerated aging products. Product functionality and performance need to be maintained throughout the defined lifetime of a medical device. While real-time aging is the most accurate reflection of shelf life, the time involved does not allow valuable technology to benefit patients. Therefore, accelerated aging is widely accepted in the medical device industry. Although the original guidance was developed for radiation sterilization, the concepts apply to all sterilization methods. With the addition of more processes, guidance for these programs is now found in Annex J. Given the vst amount of valuable information contained in TIR17 regarding material compatibility with a variety of sterilization modalities and an extensive explanation of accelerated aging programs, any medical device manufacturer should have this document at their fingertips.